To evaluate the efficacy, predictability, stability and safety of laser in situ keratomileusis (LASIK) using the FS200 femtosecond laser and EX500 excimer laser platform. The outcomes of 254 eyes of 129 consecutive patients with myopia or myopic astigmatism who underwent full correction femtosecond laser-assisted LASIK at CMU LASIK Center were assessed. Pre-operative and post-operative parameters including manifest refraction, Uncorrected Distance Visual Acuity (UDVA), Best Corrected Distance Visual Acuity (BDVA), corneal topography and tomography were analyzed. The results between low to moderate myopia and high myopia were compared up to 12 months. Mean pre-operative Spherical Equivalent (SE) was -5.15±2.41 Diopters (D) (range -0.50 to -11.50 D) and -0.13±0.28 D, -0.13±0.27 D, -0.13±0.28 D and -0.14±0.30 D at 1, 3, 6, and 12 months, post-operatively. At 12 months, the propor¬tion of eyes achieving UDVA ≥ 20/20 was 90.0% and ≥20/40 was 98.8%. 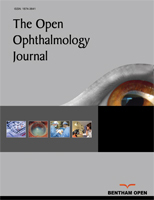 The proportion of eyes achieving post-operative mean SE ±0.5 D, and ±1 D was 91.3%, and 98.5%. No eyes lost more than two lines of BDVA. The low to moderate myopic group had a statistically significant better UDVA at one (p=0.017) and three months (p=0.014) but no difference at six (p=0.061) and 12 months (p=0.091). The mean post-operative SE was better in low to moderate myopic group at every follow-up visit (p=0.001, 0.007, <0.001 and <0.001). One-year clinical results of LASIK with the FS200 femtosecond laser and EX500 excimer laser showed high efficacy, predictability, stability and safety. Keywords: Laser in situ Keratomileusis (LASIK), Myopic correction, Myopic astigmatism, Femtosecond laser, Excimer laser, UDVA. © 2018 Niparugs et al.